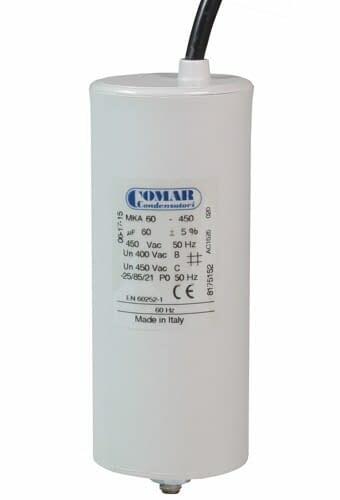 Motor capacitor with cable connection for the operation of AC motors or three-phase motor with ca. 1 kW in Steinmetz circuit. Capacitors have 2 connections. The polarity does not matter.